Is the Total Gym an Effective Exercise Machine or Just Another Fitness Gimmick? Talk about a great workout! Skepticism is natural as with all “as seen on TV” products. The Total Gym should be no exception. With slick celebrity marketing with Chuck Norris and Christy Brinkley on numerous advertisements, the Total Gym may push the “too good to be true” button for some people. However, the good news is the Total Gym is far from a fitness gimmick. Turns out it is a legitimate resistance training machine. 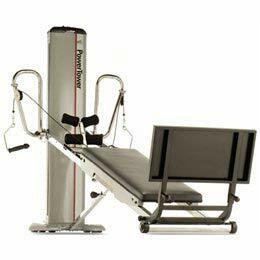 The Total Gym also fits conveniently at home and requires only your body weight for resistance. In addition to being a high quality piece of training equipment for your home, Total Gym is sold in multiple versions from budget friendly low-end to feature packed high-end models. Versatility is one of the top reasons why the Total Gym the ideal piece of home gym equipment. Whether you are a timid or enthusiastic exerciser, on a budget or have deep pockets, there is a model for just about everyone’s budget and needs. Purchase the basic 1400, 2000 or 3000 model to save a few hundred bucks, or move up a bit to the Total Gym Supreme, which is right in the middle in both features and price. The Supreme is a good value and it even includes a nice little accessory bundle to boot. However, if you want the best in performance and features, bump things up another notch and buy the awesome new Total Gym FIT or hugely popular and fully loaded XLS. I personally feel the XLS model is overall probably the best value for the dollar right now when you consider its features and price compared to other Total Gym models. In fact, the Total Gym XLS is one of the best home gyms dollar for dollar, period. However, the more expensive but newer FIT model has awesome new features that take it well beyond even the XLS, including: twice the resistance levels, ergonomic glideboard, abcrunch attachment, Total Gym workout DVD, an updated 2-piece wing attachment for more range of motion, and more. Definitely check the FIT out, it is a great value considering all the extra features and accessories you get. If you have the cash, FIT is no doubt the way to go, if not, you simply can’t beat the value and features offered in the XLS. Since Total Gym exercises use your body weight for resistance, many exercises require you to use your core muscles. This is beneficial because you will not only work the targeted muscles for each exercise, you will also work your core muscles simultaneously. Core strength and stability is literally the foundation of a functional and healthy physical body. Total Gym will help you build not only a stellar looking body but a functional one. Working the core muscles is not only good for tightening your mid section, it will improve the efficiency in which you perform common activities in daily living (i.e. walking, stepping, twisting) and all functional movements! While there are a few different models of the Total Gym ranging from the bare bones 2000 to the well equipped XLS (with more attachments/options), to the commercial grade EFI GTS, all versions of the Total Gym work on the same premise. There is a vertical base at the top with 2 rails which rest in one of many grooves within the base. The rails provide a very low friction ramp to hold the bench which is where you either sit or lie. Each groove on the base allows you to set the resistance by varying the angle of the bench. If you are sitting on the bench, the higher it is, the higher percentage of your body weight you will be lifting with each repetition. Cables and a pulley attach to adjustable handles which are connected to the vertical base. A foot plate for squats is one of the many optional attachments for the Total Gym. Each push, pull, fly or twisting motion you perform with the cables or holding on to the handles moves the resistance which happens to be a selected percentage of your body weight. Who can Benefit from Using the Total Gym? If you are one of millions of people in this world looking to lose weight, tone up, or build muscle, the Total Gym can help you achieve your goals. This holds true for beginner, novice and advanced exercisers. 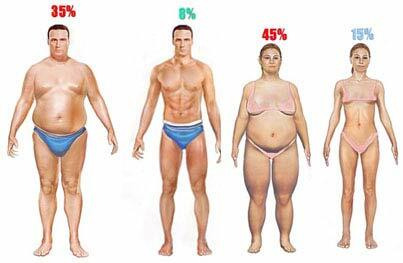 The Total Gym provides enough resistance and a variety of exercises to be a potent stimulus for body composition change. Since body composition is largely dependent upon nutrition, you will want to make sure you are eating a well balanced diet in conjunction with a Total Gym workout routine, and you will be seeing great results in no time. If you have not exercised regularly in some time or are overweight, the Total Gym provides enough resistance to strengthen all your large muscle groups and the smaller muscles of your extremities. The Total Gym also provides enough for most women to significantly improve their muscular strength and endurance. What is the Total Gym Not Good For? 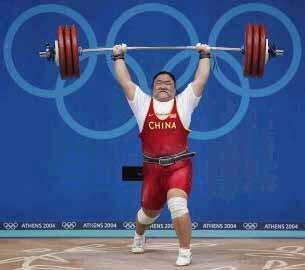 If you are a trained athlete, experienced bodybuilder or power lifter looking to increase your strength, the Total Gym is not going to be much help. Sure it will help you get a workout but it does not provide the type of resistance associated with maximal strength or power training programs using barbells, dumbbells, or kettlebells. Are There any Misconceptions About the Total Gym? Many people think the standard Total Gym can also be used as a cardio machine. The fact is this, the Total Gym was not designed to be a cardio machine and is not best used as a cardio machine. This is not to say you cannot get your heart rate up with circuit training and repetitive motions such as the seated rowing motion on a standard Total Gym model, but any workout you do on the Total Gym will not give you the benefits of 30 minutes of sustained aerobic activity from forms of exercise such as running, bicycling, or using an elliptical machine. However, if you want to get a great cardio workout in the comfort of your own home, Total Gym now offers a row trainer, and it’s awesome. The Total Gym Row Trainer includes many of the same great benefits of the standard Total Gym such as price, convenience, space saving features, etc., but it is designed for circuit training cardiovascular workouts. I recently had the opportunity to test out the Total Gym Row Trainer and I am happy to inform you they are a great piece of equipment. After a 30 minute cardio training session I was both energized and soaked in sweat. The row trainer is definitely something to look into if at home cardio and fat loss is on your wish list. Even though you can get a great workout on a Total Gym and many other home exercise machines, you will never be able to match the variety and intensity of a workout in a fully equipped gym by using only the Total Gym. That being said, keeping a Total Gym at home is a fantastic complement to your gym membership, especially if you are the quote un quote lazy or procrastinator type! And I’m no angel myself, I’ve skipped my share of gym days because of a little rain. Where Should I Purchase a Total Gym? Total Gyms are available online via many different sites both new and used and even offline at some retailers. But while you can get some great deals on used or new Total Gyms from sites like Amazon, I highly recommend you visit the official Total Gym website (see links below) for they often offer larger discounts on brand new models. You can also take advantage of one of our AskTheTrainer.com exclusive Total Gym discounts (links + coupon codes below) to further save on your purchase. Remember, if you’re looking for a top notch model for home, be sure to check out the newest Total Gym Fit ($200 link + coupon code below) or the slightly older Total Gym XLS. If on the other hand you are on a budget, the Total Gym Supreme, Total Gym 3000 and Total Gym 2000 are great products too, however, they are definitely lacking when compared to the higher-end models. Out of all the models I feel the latest and greatest Total Gym Fit Trainer & Stretching Machine is the best overall buy as far as raw features, although it is obviously a bit more expensive. On the other hand the tried-and-true XLS is awesome as well and less expensive than the Fit, but you honestly can’t go wrong with either of these models. Use the following links and exclusive AskTheTrainer coupon codes to save even more when you order at Total Gym direct. What is the Total Gym GTS? The GTS is a commercial version of the Total Gym. It is basically the same exact piece of equipment as home versions (XLS, 3000, 2000, 1600, 1400, 1100, 1000, etc.) but is designed for commercial use. When you compare commercial fitness equipment with home fitness equipment you should consider the amount of use it will get. If you have a Total Gym at home you are likely to use it for say a maximum of 5 hours a week, while the same machine in a commercial setting may get as much as 40-60 hours of use. All this means is the product is made with stronger materials and usually has a few ‘bells & whistles’ which make it more appealing to the masses in commercial settings. The Total Gym GTS is durable and easy to use. All the Total Gym workout videos on this website are performed on the Total Gym GTS. View over 35 exercises you can do at home on the Total Gym. The How to Instructional videos enable you to listen to the proper form and which muscles you will be targeting while you watch the motion. Find over 40 more exercises you can use at home with no equipment at all! Use these exercises to start a workout program without any equipment or for even greater results use them in conjunction with a Total Gym workout program.